While it’s true that you can cut up to 40 percent of your home heating and cooling costs by improving your home’s insulation, there are many other ways in which spray foam insulation can benefit your home as well. Spray foam is a means of fixing or improving a variety of issues with your home. Expanding foam insulation is simple to use and easy to transport, making it possible for you to complete any number of home improvement projects throughout the entire house with just one product. Spray foam is the prime choice material for insulating new homes or additions to your existing home. Using expandable foam insulation in new building construction will make the home more energy efficient from day one. It will also prevent the need for reinsulating or adding insulation which is commonly required in homes built with more traditional forms of insulation materials. Insulating the interior of existing walls in your home helps your heating and cooling systems work more efficiently, removing the ability of moisture and air to be trapped inside walls and affect the temperature and humidity level inside your home. 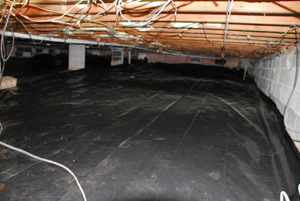 Crawlspaces and attics are the two most common places from which air leaks in the home occur. A properly insulated attic makes it more comfortable in your home year-round, cuts down on your energy costs, and helps prevent damage to your roof that can result from the melting and refreezing of snow and ice. Filling the crevasses, gaps and holes which are prevalent in your crawlspace prevents hot, cold, and moist air from outdoors from making its way into your home. It additionally keeps your internal air from leaking to the outdoors, preventing your heating or cooling system from working so hard to maintain internal atmosphere comfort. Insulating ceilings and floors allows you to create a more energy-efficient home as well. The process of insulating ceilings makes each room in your home more capable of sustaining optimal air temperatures with minimal effort on the part of your heating or cooling system. Through insulating under the floors inside your home, you can prevent the buildup of moisture in the floor, thereby decreasing humidity levels inside the house and eliminating the threat of damage to the floors themselves. Pent up moisture in the floor can lead to numerous issues including mold, rot and the warping of joists and floorboards. Insulating inside cinderblocks in the foundation of a structure can prevent the temperature of the soil outside from causing an increase or decrease in the temperature inside the home. During the frigidly long months of winter, the frozen ground makes the foundation of your home equally cold which can translate into higher heating bills for you. In the summer, the heated soil outside causes your foundation temperature to increase, resulting in your air conditioner struggling to maintain internal air temperatures. Heat escaping your home through the walls of your basement is an issue as well. Particularly if you have a finished basement that you heat or cool, you should consider insulating the interior of your basement walls. The barrier of insulation prevents your furnace from trying to heat the cold ground outside in the winter and from the warmth of the soil from leaking into the basement in the hotter months. Using spray foam insulation to seal ductwork in a new and existing HVAC system makes the entire home heating and cooling system operate more efficiently. Any minor gaps in the systems joints allow heated or cooled air to escape from ductwork before reaching its intended destination. By insulating around pipes in your home, you prevent your water heater from working as hard, thereby cutting down on energy expenses. By preventing the heat from escaping already heated water through the pipe surface, you reduce the overall expense associated with providing hot water to your whole house. If you pay a water bill, you will likely see a savings there as well. Hot water trapped in the pipes will stay heated and you won’t have to run water as long to get it to the desired temperature. Additionally, insulating pipes decreases the likelihood of ruptured or broken pipes in the winter. By proving a protective barrier around pipes and joints in your home water system, you prevent the freezing of water lines that can often occur in the winter months. While insulating the walls, floors and ceilings inside your home will not remove all residual noise, it does provide some sound dampening. The empty spaces inside exterior walls allow noise from outside the home to make its way easily into your house. Poor insulation in interior walls, ceilings and floors allows noise to leak through from other parts of the house into each room. By using spray foam insulation, you will be able to enjoy a better overall room-by-room atmosphere in your home, in terms of air quality, temperature and sound quality. 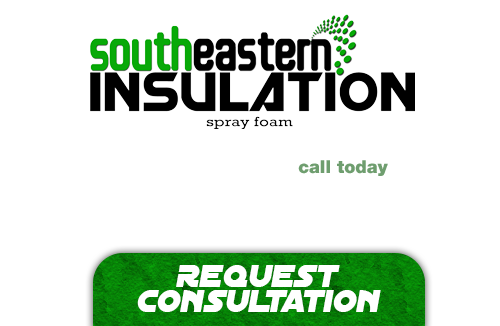 If you’re looking for a professional Sandy Springs Spray Foam Contractor, then give us a call today at 678-561-FOAM (678-561-3626) or complete our request estimate form.